Curt's Lane is part of the Lunch Loop Trails System in Grand Junction, Colorado. Beginning at, or near, the Tabeguache Lunch Loop trailhead Curt's Lane climbs to the ridge overlooking the parking area. From there it levels off and heads south to a point where it splits between uphill and downhill routes. The uphill branch takes a scenic route along the edge of the mountain before reconnecting with the downhill branch and continuing until it comes to an end at its junction with the Raven Ridge and Ali-Alley trails. 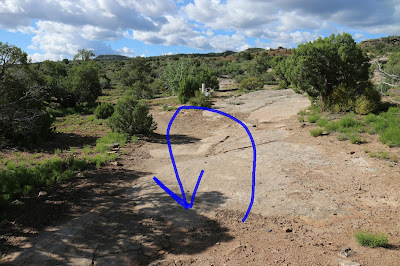 The easiest route to Curt's Lane is to follow the Tabeguache trail from the parking area for 10-15 yards and take the first left that cuts between the parking lot and the jump area. Curt's Lane shares routes with a short section of Kid's Meal that takes it to another junction where it begins its climb up the ridge. There are a couple of switchbacks that take a lot of the work out of the climb as it routes itself around the rocks and boulders that cover the hillside. Various rocky outcrops going up the hill add to the scenery and present a few obstacles for mountain bikers to deal with. At the top of the hill Curt's Lane is connected to on the left by a short spur that runs over to the Big Sister Loop. A short distance past that the trail splits with uphill traffic taking the right fork and downhill traffic coming in on the left. The first stretch of the Curt's Up route hangs out on the edge of the mountain where it gets a little narrow in places. After about a quarter mile Curt's Up and Curt's Down reunite and end up taking a fun route through some boulders. At one point the Leftover Lane trail branches off on the left and further on another trail branches off on the right that takes a mighty plunge down Bentonite Hill. Curt's Lane comes to an end at a junction with the Raven Ridge and Ali-Alley trails. For this post we turned around and went back the way we came but via the Curt's Down route this time. There are some great views of the eastern flanks of the Colorado National Monument and No Thoroughfare Canyon from Curt's Lane. 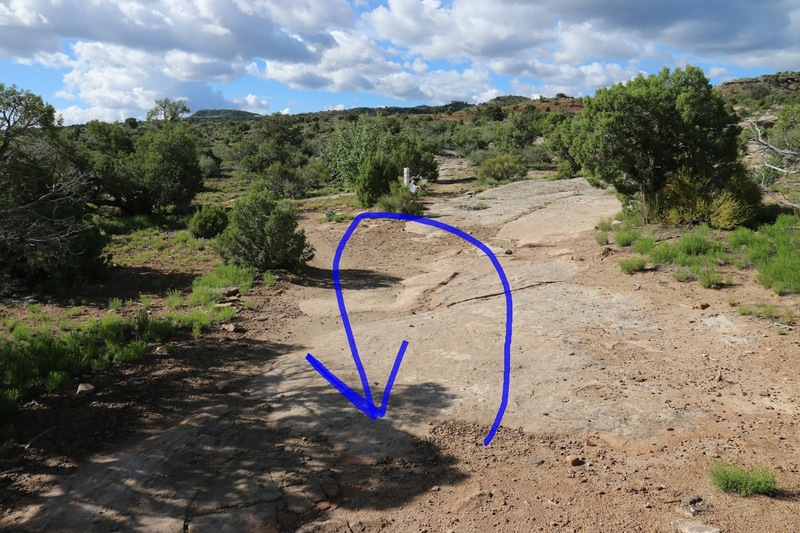 It is hard to get around almost anywhere in this part of the trail system without at least making use of a portion of Curt's Lane and for that reason alone it gets plenty of use from hikers, trail runners and mountain bikers. If you would like to see it for yourself then all you have to do is grab your bike or 'Take a hike'.